The German Chancellor Angela Merkel last month outlined her strong backing for Juan Guaidó, a young Western-supported proxy figure also favoured by Venezuela’s wealthy class. Merkel proposes that Guaidó “is the legitimate interim president” of Venezuela, without providing evidence to support her assertion. The reality suggests something quite different, and points to Nicolás Maduro as the rightful democratically elected leader of Venezuela. Independent observers present throughout the May 2018 election procedure in Venezuela, such as experienced British journalist and author Jeremy Fox, have described a fully digital voting process “designed with multiple safeguards against fraud” which is “impressively efficient” and has “an automated manual verification back-up”; while “foreign media have been making hay with defamatory rhetoric, much of it consisting of outright fabrications”. With regard Merkel’s stance on oil rich Venezuela, one should not be too surprised her government is again bending to Washington; following reunification a generation ago, Germany has been heavily influenced by American interests. In 1990 there were 200,000 US troops present on German soil, and almost 30 years later president Donald Trump was surprised to learn that 35,000 American soldiers are still stationed in the country. That number is set to gradually rise next year. The US military remains in Germany on the pretext of deterring a Russian invasion that will never come. Were any such attack to occur it would very likely trigger a catastrophic nuclear war, as Russia’s president Vladimir Putin is likely aware judging by his recent nuclear warnings. Merkel has lamented that America no longer “protects us” under Trump’s presidency. Germany, the great powerhouse of Europe with a long history of militarism, has forgotten how to stand upright on her own two feet. The obsequious dependence the Germans have placed upon American might was indeed not always the case. “I’m very glad I recently said all I think about Roosevelt… The noise he made at his press conference was typically Hebraic. There’s nobody stupider than the Americans”. As the Holocaust and mass murders on the Eastern front revealed, Hitler undoubtedly fell under the category of “a sick brain” himself. In more recent times, during spring 2003, when Merkel was leader of the opposition she firmly supported America’s invasion of Iraq – despite criticism from within her own party, the Christian Democratic Union (CDU). Merkel said prior to the US military attack, which was entirely illegal, “War had become unavoidable. Not acting would have caused more damage”. Merkel urged her nation, in breach of the United Nations Charter, to “stand by America’s side” while accusing then Chancellor Gerhard Schröder of “anti-Americanism” for steering Germany away from an unseemly invasion. The US occupation of Iraq constitutes the most serious aggression witnessed this century, eventually leading to hundreds of thousands of Iraqi deaths – along with fracturing what was left of that nation’s civil society and destabilizing much of the Middle East. Last August, Merkel further highlighted that, “Germany and America are linked by values: Democracy, freedom, respect for human rights and dignity”. Some may again find this opinion a disputable one, like those living in Laos, a nation in south-east Asia bordering Vietnam and Cambodia. During the US war in Indochina – for more than eight years beginning in December 1964 – America’s Air Force unleashed more bombs on Laos than the combined total dumped over Japan and Germany during World War II. Laos, a severely impoverished state, became the most bombed country in history, forcing some of the populace to seek sanctuary in remote caves. When the saturation attacks on Laos at last ceased in summer 1973 about 80 million unexploded US bombs, out of 270 million dropped, lay across a nation less than half the size of France. Over elapsing years, there were no efforts by American forces to return to Laos and clean up the devastation wrought by their military, such has been the “respect for human rights and dignity” that Merkel expounded on. Over the unfolding decades, there have been many thousands of casualties as a result of Laotians accidentally triggering explosives buried in the ground. Today, a mere 1% of Laos is officially bomb-free. Meanwhile, Germany’s neighbour, France, has also been unduly reliant upon American power. In 1949, France was one of the “founding members” of NATO, a US-led organization which has rapidly expanded eastwards since the USSR’s 1991 demise – in spite of NATO having been established on the premise “to provide collective security against the Soviet Union”. “I wish to tell the United States, France believes in you, the world believes in you”. International opinion polls have revealed in recent years, however, that America is regarded as “the greatest threat to peace in the world today” due to her military’s long history of foreign intervention. In Venezuela, Macron has described president Maduro’s election victory last May as “illegitimate” and regards Guaidó as the “president in charge”. 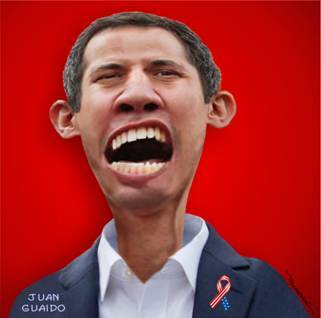 Guaidó is recognized by a range of countries in Europe and Latin America, the great majority of which comprise either capitalist “democracies”, right-wing administrations or are NATO members. Those familiar with Venezuela’s election procedure – like journalist Jeremy Fox and senior lecturer Francisco Dominguez – have noted that all neutral observers present “could find no fault in Venezuela’s system” as Maduro won over two thirds of votes. Little of this is being relayed to the broader public, however. “Britain and the United States have an enduring and special relationship based on the values of freedom, democracy and enterprise”. Rather, the US has illegally involved herself in sovereign countries around the globe, from Vietnam, Chile and Nicaragua to Indonesia, Yugoslavia and Iraq, all in flagrant infringement of the UN Charter. The well regarded British historian, Mark Curtis, outlines that America “is in fact the world’s greatest outlaw state” with Britain ranking as number two in its junior partner role. The USSR, a purported “evil empire” which existed for seven decades, had no comparable record of transgressing international law or the bloodshed that follows; furthermore, almost all of the Soviet interventions occurred in countries it shared a direct border with such as Korea, Hungary and Afghanistan. The Soviets usually acted out of a position of weakness or insecurity, and made no attempts to topple fascist dictatorships in Spain, Argentina or Brazil. Relating to Britain – once a vast empire that ruled for three centuries – following the “loss of India” in 1947 successive British governments have resorted to all sorts of illegal measures, so as to cling on to any semblance of power possible. Britain has partly instituted and supported brutal dictators from the Shah of Iran, to Suharto of Indonesia and Pinochet of Chile, backing despots while undermining basic democratic principles. Later, under Tony Blair in particular, Curtis notes that “violating international law has become as British as afternoon tea”, with the illicit attacks on Yugoslavia in 1999 and Iraq four years later bearing proof of this. Yet current prime minister May insists a hallmark of the US/UK partnership has been “our democratic values and our commitment to justice” which “we in the UK will always cherish – as I know the US will too”. May’s government inevitably champions Guaidó and calls for “free and fair elections” in Venezuela.